Perform a variety of culinary tasks with ease thanks to the four piece Russell Hobbs kitchen tool set. 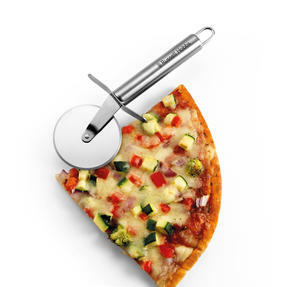 Expertly crafted from high quality stainless steel, each tool is completed with a mirror finish for long lasting shine. Compact and sleek in design, this tool set compromises of a garlic press, can opener, whisk and a pizza cutter. 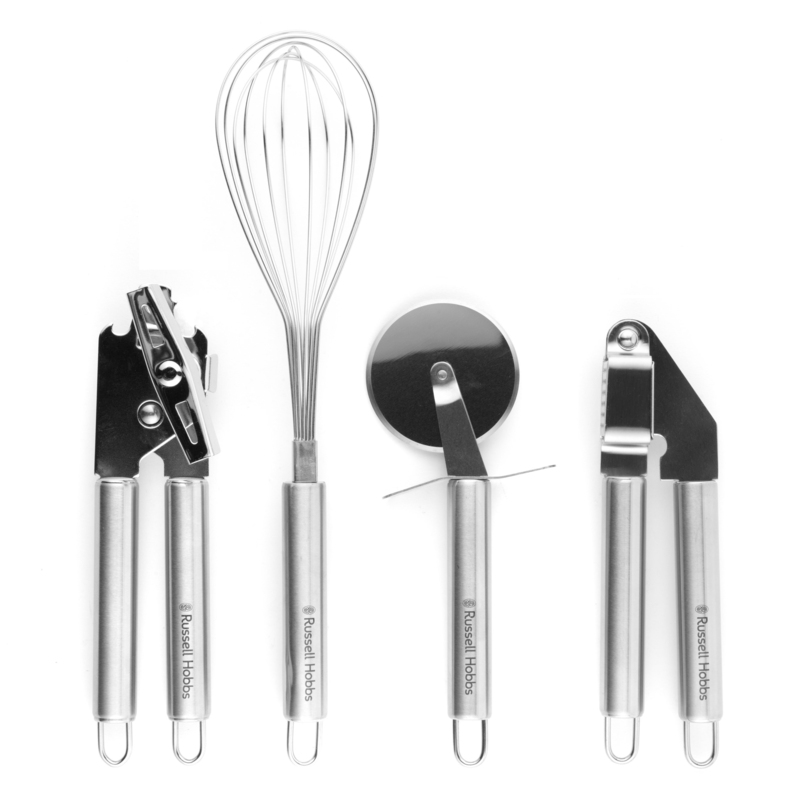 Modern and smart looking, this tool set is easily stored away when not in use. Made from durable materials, these tools are suitable for dishwasher cleaning. 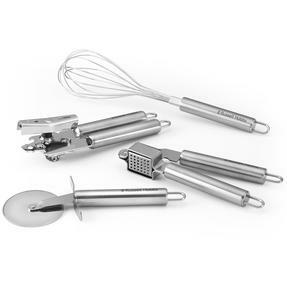 Revolutionise your kitchenware with this four piece stainless steel kitchen tool set from Russell Hobbs. 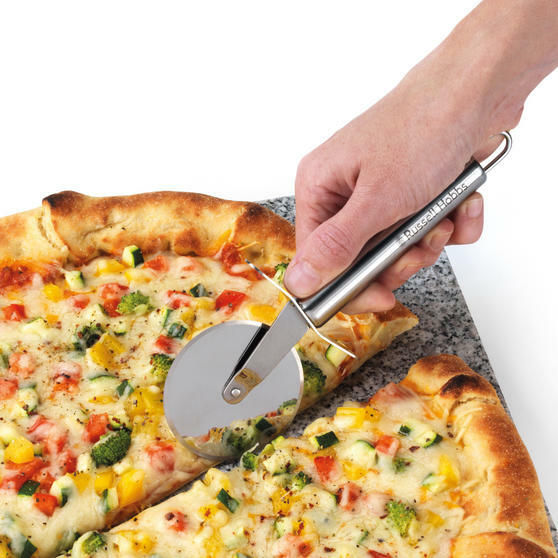 This brilliant and practical set includes a garlic press, can opener, whisk and a pizza cutter to aid with a range of cooking tasks. Compact and sleek in design, these tools are easily stored away when not in use and do not take up much space in drawers. Developed to a high standard by Russell Hobbs, these kitchen tools have a mirror finish for a long-lasting shine.